Saw a stand up comedy show by these three wonderful comedians, in Kamani Auditorium today. One of the funniest guys in India, Tanmay is a member of Weirdass Comedy and the co-founder of All India Bakchod. 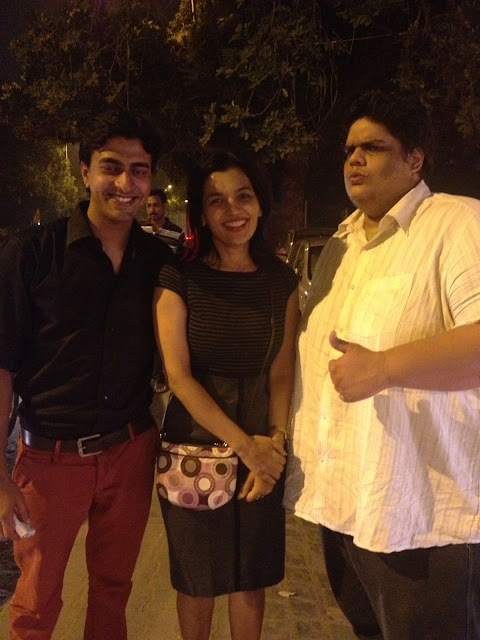 From improvisation to naughty antics, Tanmay is an act you shouldn`t miss! Rajneesh Kapoor`s clean comedy and clean-shaven look is just a new way of looking at the same old world. He is the creator of comic strip This is our Life and also makes a daily comic strip for newspapers. He also loves cats, music, people and more cats. Actor extraordinaire (2 movies releasing in 2012), Comedian and Humour writer. Being a struggling actor from Mumbai,Varun holds the world record for the maximum rejections by casting directors and Rickshawallahs.